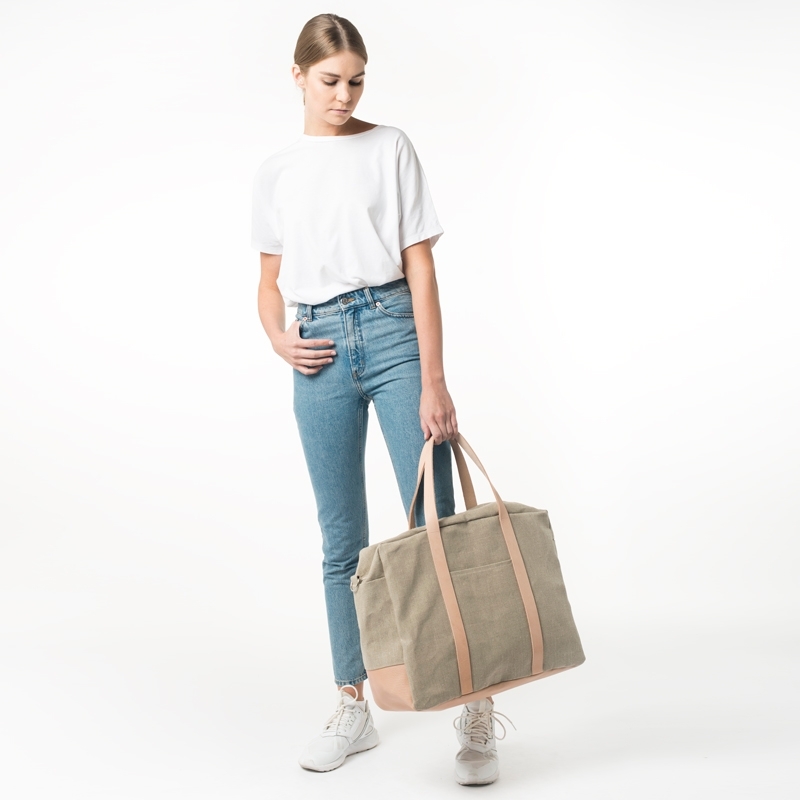 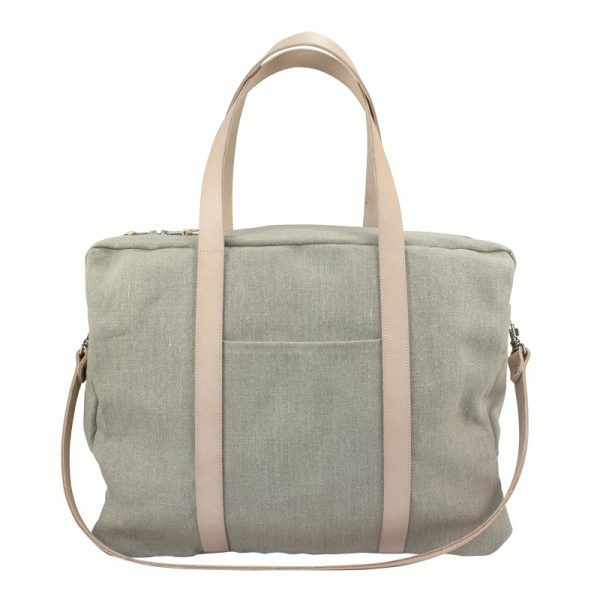 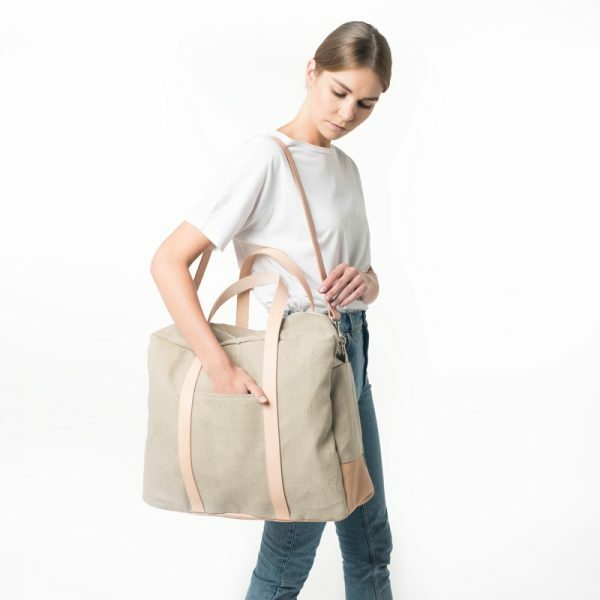 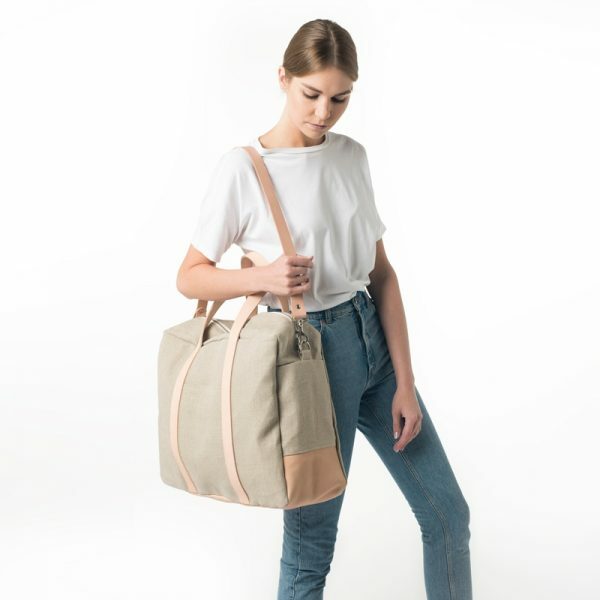 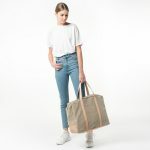 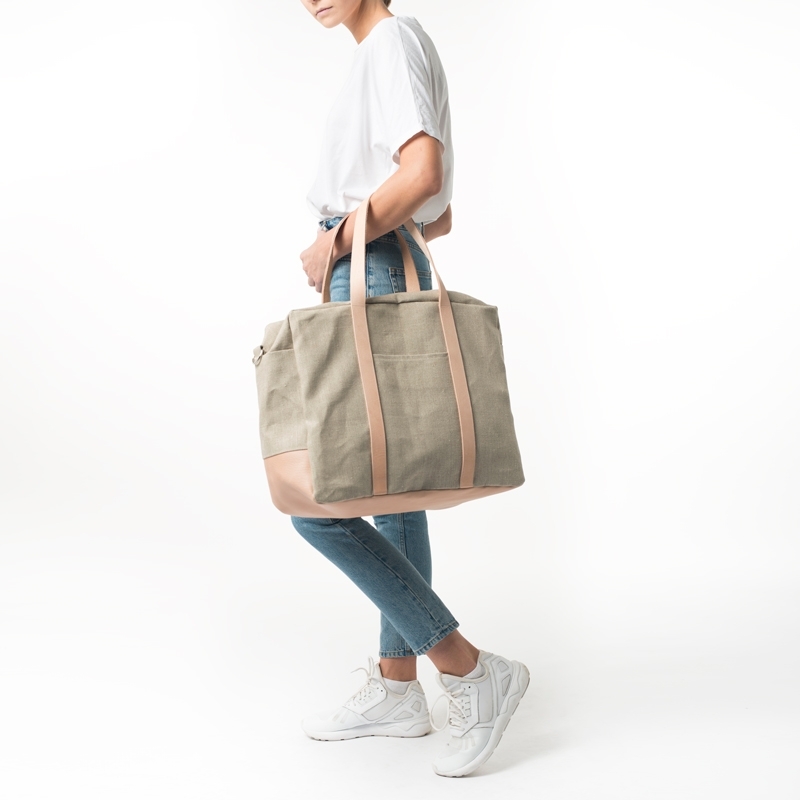 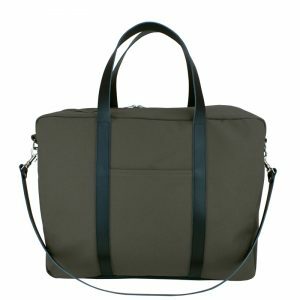 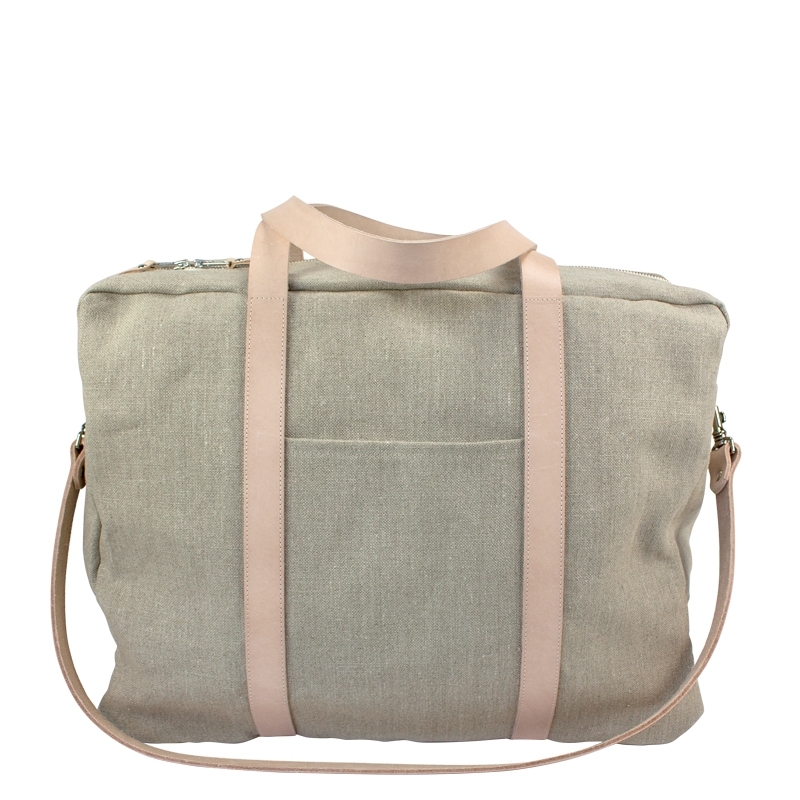 This Weekender is the perfect travel bag for short getaways. 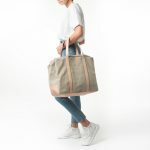 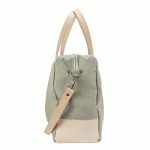 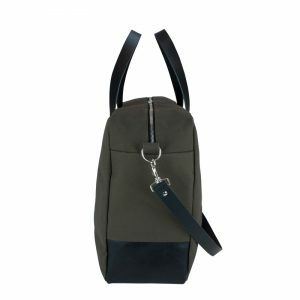 It’s made of robust, water-resistant linen with extra durable, vegetable-tanned leather straps and a vegetable-tanned leather bottom. 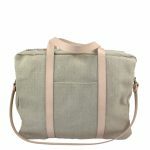 The main compartment is lined with a natural-colored cotton fabric. 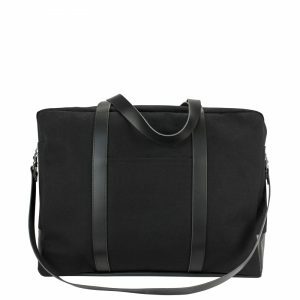 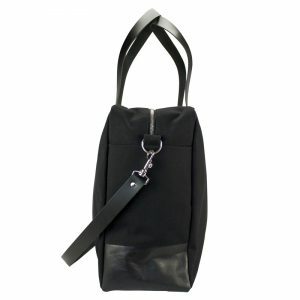 It has a zippered opening, an inner pocket and a small outside pocket for having your travel ticket ready to hand.